Luigi was born in Pavia in 1963 and lives in Milan. Curator of Italian Air & Space Museum. 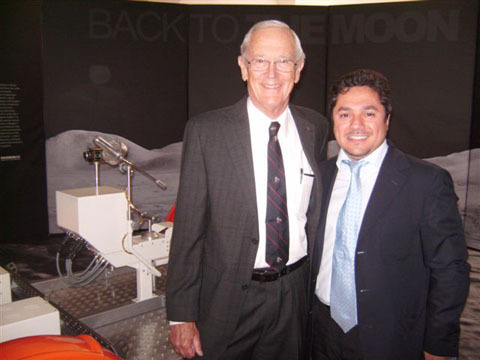 Luigi has written a book, "Progetto Apollo: Il sogno più grande dell'uomo", with a foreword by Apollo 16 astronaut Charlie Duke. He writes magazine article and works with various public institutions to preserve the history of human space flight by organizing exhibitions and conferences on the lunar missions. Most recently (31 March to 30 Avril 2012) an exhibition called "Esplorando" celebrated the 40th anniversary of the Apollo16 moon landing. For that exhibition, he and his team designed and built a replica of Apollo 16 Command Module Casper and a replica of Charlie Duke's suit. A previous exhibition (16 May to 31 July 2009) was called "Back to the Moon" and celebrated the 40th anniversary of the first moon landing. 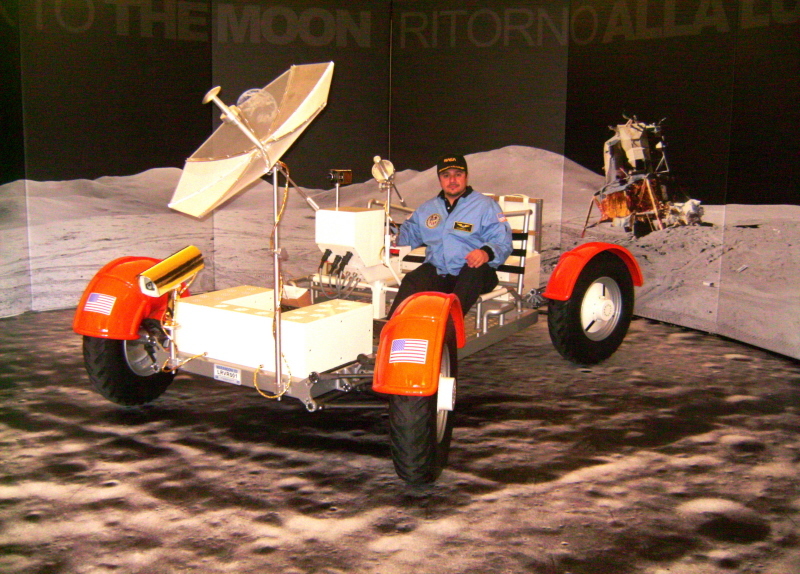 It included an Italian-built LRV replica and a replica of Buzz Aldrin's Apollo 11 suit. Details about the book and the exhibts can be found at Luigi's webpage. The image below shows Luigi sitting proudly on the replica LRV.